Visible results in 24 hours! 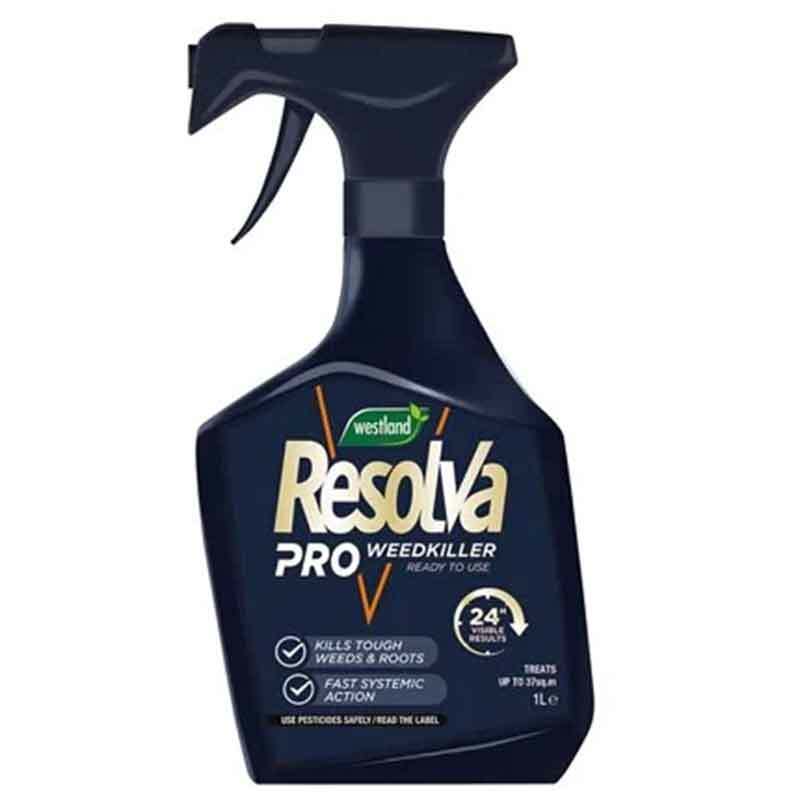 Resolva Pro Weedkiller controls grasses, including Couch Grass, Docks, Thistles, Nettles, Dandelions, Bindweed and many more weeds. Visible effects may be seen after 24 hours. Resolva Pro Weedkiller is broken down naturally and degraded by micro-oranisms/microbes in the soil. If you would like further information about Westland Resolva Pro Weedkiller, please contact our garden centre at Shawbury just outside Shrewsbury in Shropshire, by calling 01939 251315 or emailing.